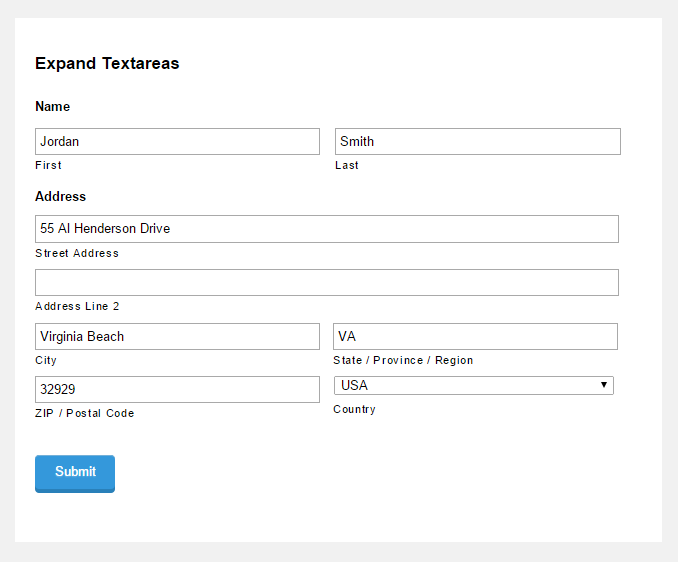 Add HTML5 placeholders to your Gravity Form fields. This perk adds a new field setting for fields that support the placeholder property. More on that below. After you’ve specified the placeholder for a field, the Placeholder perk handles updating the field’s input HTML to include the placeholder attribute. For browsers that support placeholders (like Firefix, Chrome and Safari), this functionality will work natively. That means no special scripts! But alas, not all browsers support placeholders just yet. For these browsers (like Internet Explorer), the Placeholder perk loads a little jQuery Placeholder script by Daniel Stocks. This script adds support for the placeholder attribute to older browsers so regardless of the browser, the user receives a uniform experience. First step, as always, is to activate the Placeholder perk. 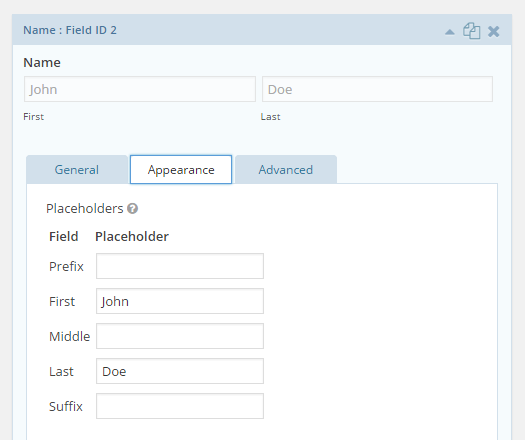 Once activated, supported field types on all forms will automatically display the “Placeholder” setting right below the “Field Label” setting. For single input fields (like the Single Line Text field and the Paragraph Field), there is only a single input for the Placeholder setting. 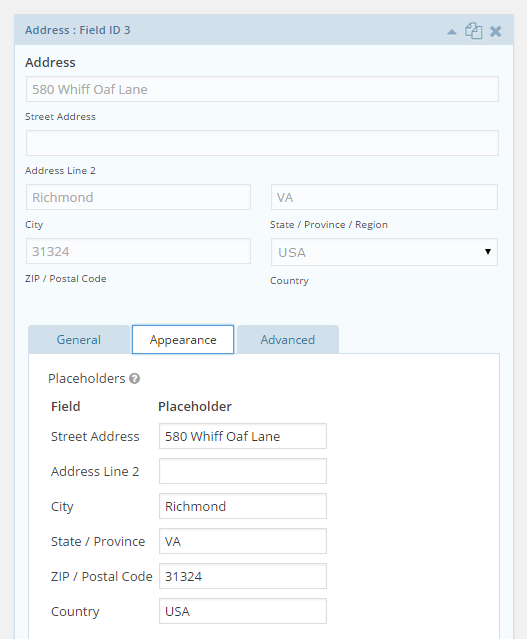 For multi-input fields (like the Name field and the Address field), there will be an input to specify the placeholder for each input of that field type. Enter whatever text you would like to appear as the placeholder for each field on your form. Save your changes and you’re good to go! Fixed issue where "gform_column_input_content" filter was not called correctly when placeholder was active. Added minimum required version of Gravity Forms to bypass fatal errors when Gravity Forms was not active.